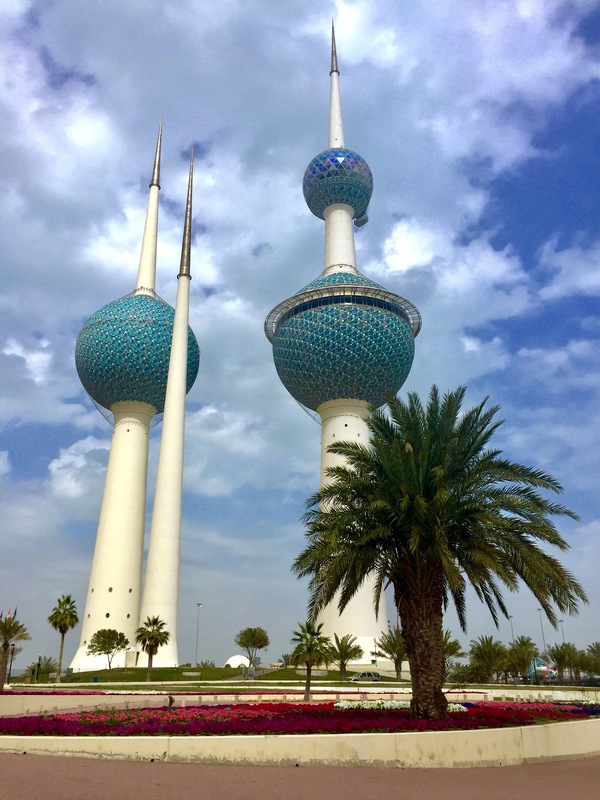 Useful Guide: How to Spend A Few Days in Kuwait City! The most common reason today to travel to Kuwait is surely for business, as it is not (yet) a very touristic destination. I personally flew to Kuwait City to visit a dear friend of mine and to get more familiar with the local culture, while I was spending some time in Dubai. During my visit, I also met some people on a day trip or a weekend getaway from Dubai and Abu Dhabi, who came to Kuwait City just out of curiosity. If this will happen to you, or you are on a business trip there, in this article you can find some inspiration about what to see, where to eat, and where to stay in this Middle-eastern capital! Important: alcohol is forbidden by law everywhere, also in the 5 stars hotels. No exception. For foreigner women: Abaya is not mandatory, but dress with respect and dignity! WHERE TO STAY AND WHERE TO EAT IN KUWAIT CITY? When I landed in Kuwait, I needed a tourist visa on arrival. I got inside the small airport and took a ticket from a machine located on the right side of the door. Then, I walked into the visa on arrival waiting room, on the right side straight after you get inside the airport. There was a man who scanned and photocopied my passport, then I had to sit with other people to wait for my turn and get the visa documents. I have been waiting not more than 20 minutes, although there were not many people. I didn’t pay for the visa, but I heard it can happen. I have no idea about the criteria though! I stayed at my friend’s place for the first few days, but I had also the chance to check out the best hotels in order to be able to write about them! Please remember that you can’t find any alcohol there, although they are both luxury 5 stars hotels! At the JW Marriott I had a fabulous sushi lunch at ‘Kei’ restaurant: the fish was so fresh and delicious, and the service was excellent! If you are up to a fancy and classy Italian dinner, I’d recommend to book a table at ‘Riccardo’ restaurant at the Sheraton hotel! Actually, also the Iranian one ‘Shahrayar’ is lovely! For a casual Italian meal, I’d recommend ‘Lorenzo’ restaurant. It is located in a small square where locals smoke shisha outdoor. 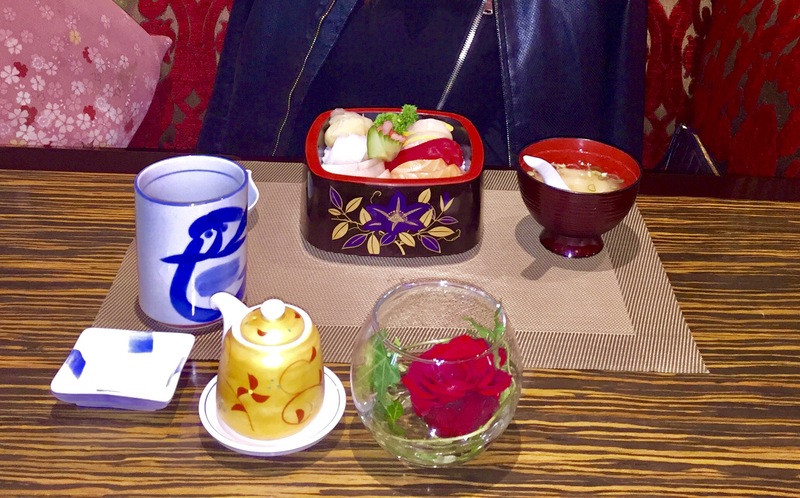 It is very appreciated in the city, it is good both for lunch and dinner. Furthermore, I have been also very impressed by Holyday-Inn/Crowne Plaza Hotel near the airport. 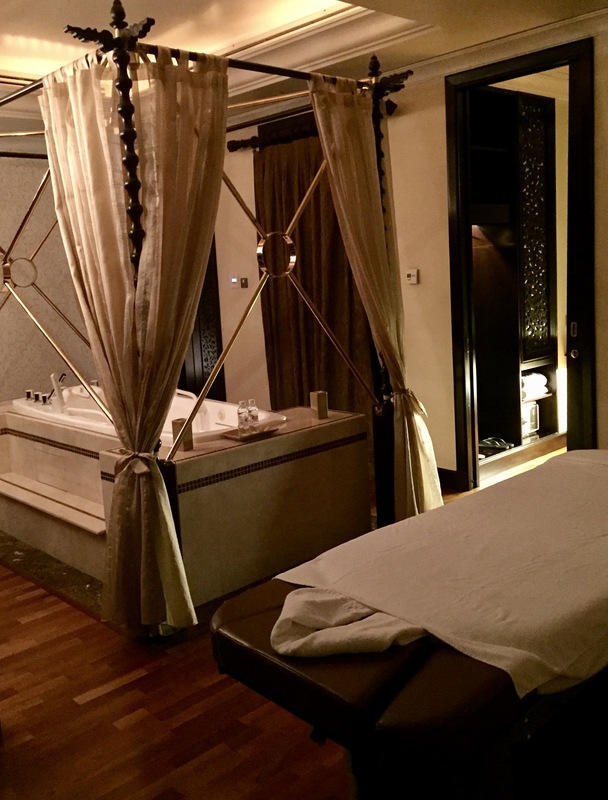 The airport is 30-40 minutes away from the city center and there is always a lot of traffic jam, so it is definitely a good idea spend a night there before flying away. This hotel is big and very elegant, with several restaurants inside, including ‘Sakura’ where I had extremely delicious sushi, another great place after Kei @ JW Marriot! Very impressive! In addition, there is a Tea Lounge where they serve a wide range of incredible yummy cakes! On top of that, this hotel has a magnificent spa, called ‘Aquatonic’! I had a splendid massage before my flight back to Dubai. Absolutely recommended! Kuwait is small country located in the north of the Persian Gulf, and it shares borders with Saudi Arabia and Iraq. It is interesting to highlight that 70% of the country’s population is comprised of expatriates: the two largest communities are indeed Indians and Egyptians. For a full demographic and cultural description click here. When I decided to visit Kuwait I was spending some time in Dubai, so I took a direct flight with FlyDubai airways. It took approximately 2 hours. Remember that Kuwait City is 1 hour behind Dubai. The first impression of the city might be a bit disappointing as it seems there is nothing but business. 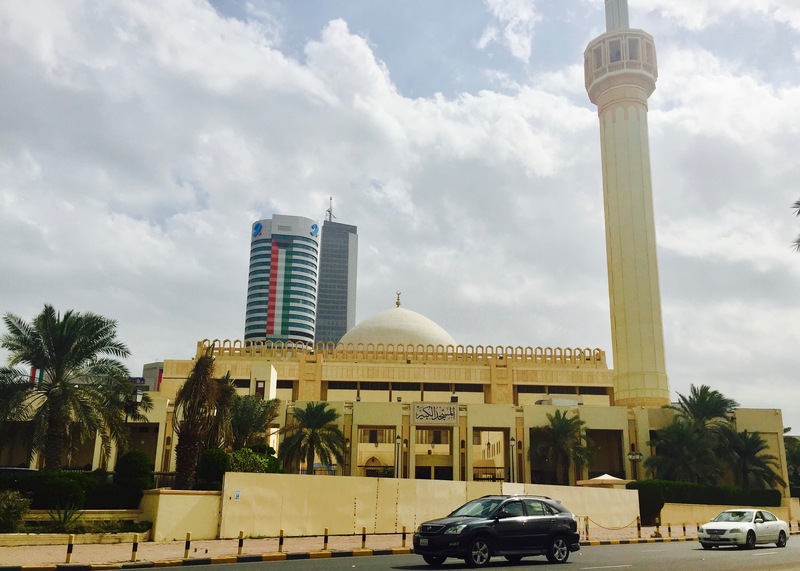 I would actually tell you that I found some very interesting spots and I had great time in Kuwait City! 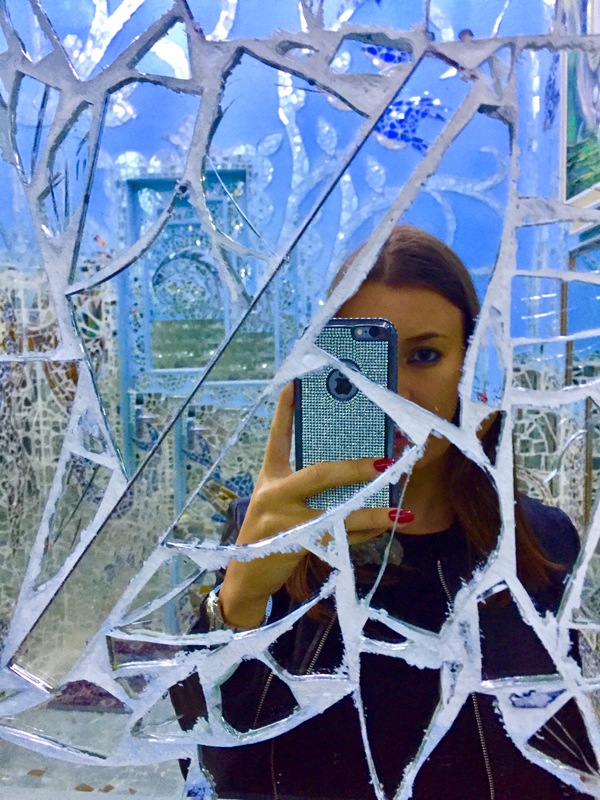 The absolute number one place to see and impossible to miss is “The Mirror House” – literally no doubt! The great energy of Mrs. Lidia Al Qattan will take you to another dimension in her house-museum! I wrote a full article about my amazing experience there, please click here to read it! It is located in the heart of the city and it is the biggest in Kuwait: locals refer to it as ‘Al-Masjid Al-Kabir’. Tourists can visit the Mosque during weekdays, from 9am till 10:45am only! For women: at the entrance they provide us an Abaya to get in the Mosque. It is possible to join a free guided tour, but you need to check online when it’s available. Kuwait Towers is a group of three slender towers that symbolizes Kuwait’s economic resurgence. They were officially inaugurated in 1979 and today they are rated as a tourist attraction and iconic building of modern Kuwait. 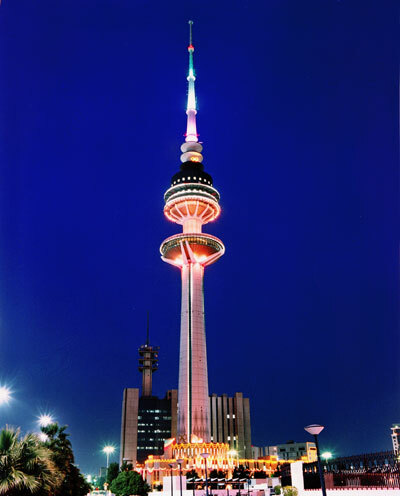 The Liberation Tower in Kuwait City, inaugurated in 1996, symbolizes the liberation of the country from the Iraqi occupation during the Gulf War. To give you an idea, this tower is 40 meters higher than the Tour Eiffel in Paris! 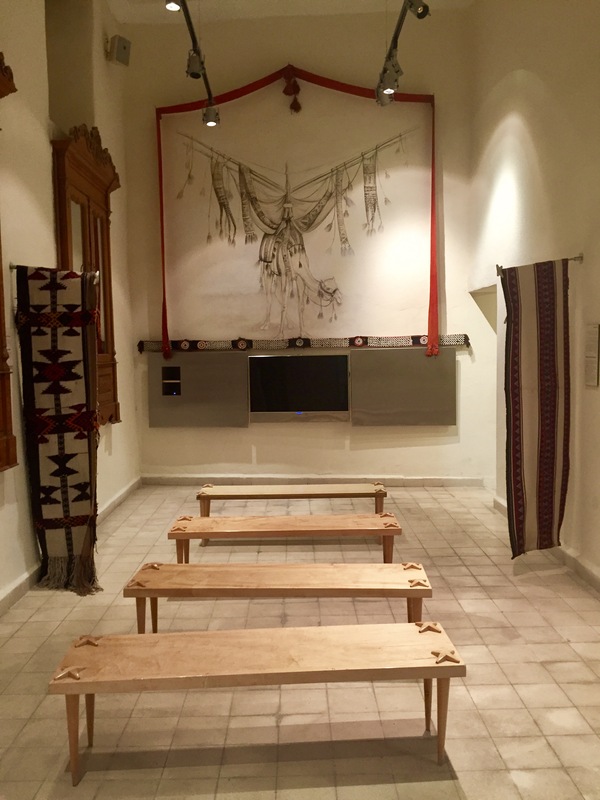 Located near the Kuwait National Museum, this lovely house-museum shows us the Bedouin history, style and art of weaving. It used to be an old Kuwaiti house and today became a cultural center, where people meet up at the cute little bar. I personally liked this place as I learnt a lot about the local history and the Bedouin craft, called ‘Sadu weaving’. They have a shop where they sell lots of beautiful and colorful handmade traditional carpets ! Really amazing! When I was in the city, unfortunately it was closed. It is next to the Sadu House, so you can visit both while there very easily! The word ‘souq’ refers to a local marketplace, a commercial local area, very typical in the Middle-East and North Africa cities (like Marrakech!). In this place you can find local dresses, spices, food and lots of souvenirs! As in any other Middle-eastern capital, the shopping mall is a very beautiful place to go, due to their extravagant architecture and interiors. They are in fact spectacular and entertaining place especially during the summer heat! The Arab incredible taste for luxury is well shown at ‘The Avenues’ shopping mall in Kuwait City! I personally couldn’t do it as I was in Kuwait during winter time, so it was too cold to go to Kubbar Island (also known as Kobar Island). However, apparently it is a beautiful island with clean beaches and clear water. If you are there in summertime you should probably give it a try! Another place that I wish I visited but again I wasn’t able to do so, due to the fact that it was winter time. If I will go back to Kuwait in summertime, I would love to visit Green Island, which is an artificial land along the coastline, extending from Al-Shiwaikh to Ras Alard. It was created in 1988, with the idea of creating a spac for a very relaxed getaway in Kuwait, where you can find lovely restaurants, a nice playground in the park and of course a nice beach! If you’ll go there, please send me feedback to: hello@lustforthesublime.com ! I hope this article will give you great inspiration during your time in Kuwait City!